The name of the Corporation is The Society for Experimental Biology and Medicine (SEBM; "the Society"). To promote investigation in the biomedical sciences by encouraging and facilitating interchange of scientific information among disciplines. The principal instruments for achieving this purpose shall be the publication of its journal, Experimental Biology and Medicine (EBM) or its successors, and where appropriate, the distribution of funds of the SEBM Endowment Fund and the encouragement of sectional and national meetings. In furtherance of the foregoing purposes, the society shall have all general powers conferred by law and necessary or incidental to the furtherance of its purposes, subject to the limitation and condition that, not withstanding any other provisions contained herein, the Society shall not have the power to carry on any activities not permitted to be carried on by an organization exempt from federal income taxation under Section 501©(3) of the Internal Revenue Code of 1954 (or the corresponding or related provision of any future United States Internal Revenue Law). The Society shall not carry on propaganda, or otherwise attempt to influence legislation, except to the extent permitted under Section 501 or any succeeding or related Section of the United States Internal Revenue Code. The Society shall not participate or intervene (including the publishing or distributing of statements) in any political campaign on behalf of or in opposition to any candidate for public office. No part of the net earnings of the Society shall inure to the benefit of any private member or individual, and no officer, director, member or employee of the Society shall receive or shall be lawfully entitled to receive any pecuniary profit of any kind from the operations of the Society or upon the dissolution of the Society, except reasonable compensation for their expenses or for services rendered the Society in effectuating one or more of its purposes. In the event of the dissolution of the Society, the balance of all funds, assets, and other property belonging to the Society, after proper payment of all debts, obligations, and liabilities, shall be used and distributed exclusively for one or more of the charitable, literary, and educational purposes set forth in Article II hereof and shall be distributed in accordance with the law to one or more organizations (including, without limitation, organizations of federal, state or local governments) engaged in activities substantially similar to those of the corporations. The foregoing provisions are intended to comply with Section 501©(3) of the Internal Revenue Code of 1954, as amended, and they shall be construed and interpreted in accordance with the meaning of said Section, as the same may be amended from time to time or any comparable or related provision of any succeeding Internal Revenue Law. The SEBM Council shall determine the location of the Principal Office of the Society. The Society may establish and maintain additional offices as the Council may from time to time determine. There shall be kept at the principal or any other designated office of the Society books or records of membership and correct books of account of the activities and transactions of the Society, including a minute book, which shall contain a copy of the Charter, a copy of these Bylaws and all amendments thereto, and all minutes of meetings of the members and of the Council. The official seal of the Society shall be circular in form and shall contain the name of the Society and the Words and Figures, "New York - 1942." 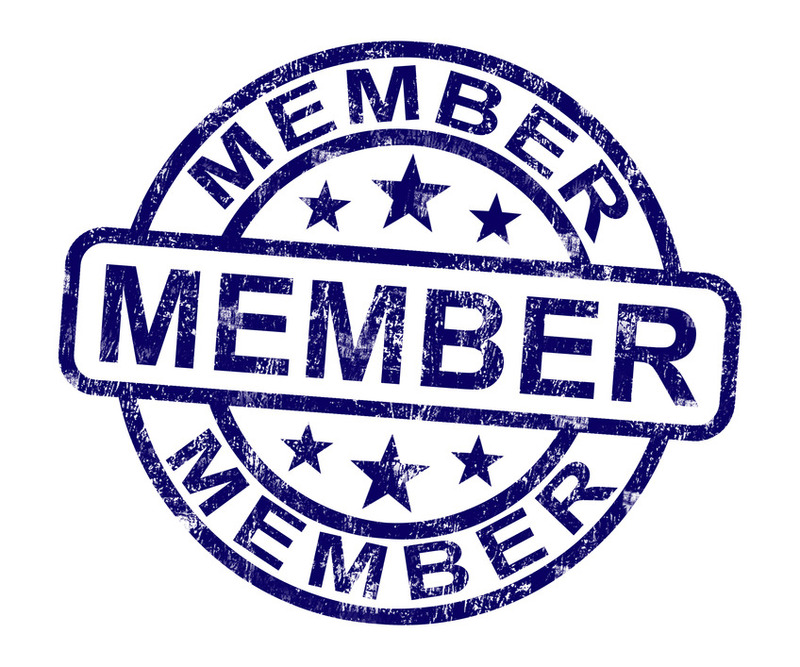 There shall be four classes of membership in the Society: Regular, Associate, Student, and Emeritus Members. New members may be elected by a vote of the Membership Committee in accord with election rules recommended by the Membership Committee and approved by the Council from among applications with supporting materials submitted by the Executive Director. Eligibility: The central determining requirement for membership is an active involvement in a scientific career in experimental biology or biomedical research evidenced by receipt of a doctoral level degree, a commitment to research and publication of original articles in reviewed journals. Hold office and committee membership. Vote at meetings and at elections. Receipt of EBM at member rate. Attend SEBM scientific meetings at member rate. Eligibility: Any student who is an undergraduate or graduate student in an area related to research in experimental biology or medicine, as endorsed by her/his research advisor/major professor. Holding office, or membership on certain committees. Any member in good standing, who retires or who becomes disabled, may upon request be declared an emeritus member by the Council and may be relieved of payment of the annual dues. Subscribe to EBM at a rate determined by Council. The annual meeting of the members shall be held at such time and place as the Council determines and shall be designated in the notice of such meeting. Written notice of all meetings of members, stating the time, place and objects thereof, shall be provided to all members at least thirty (30) days before such meeting. At all meetings of members of the Society, 100 regular members or 1/10th of all regular members whichever is less, present in person or represented by proxy, shall constitute a quorum. In the absence of a quorum any number of regular members present shall be sufficient to adjourn. A majority vote of the regular members in attendance or represented by proxy, provided a quorum is present, shall constitute a valid vote. Regular members of the Society residing in the same regions may organize under their own rules, subject to the approval of the Council, to sponsor scientific meetings. The Society will provide such groups, upon request, with the names and addresses of members residing in their region and provide such other assistance as the Council may approve. The SEBM officers shall consist of the President, the President-Elect, the Immediate Past President, the Treasurer, the Treasurer-Elect, each of whom shall serve a term of two years commencing on July 1. The Council shall consist of the officers plus twelve councilors, three of whom shall be elected annually for a term of four years; President of the Board of Governors for the SEBM Endowment Fund as voting ex-officio member; the Chairs of the Publication and Membership committees, each of whom shall serve concurrently with their appointed tenure as Chairs of the committees as voting ex-officio members; and the Executive Director and Editor-in-Chief as non voting ex-officio members. The entire direction and management of the affairs of the Society shall be vested in its Council which shall have complete discretion to determine the relation and obligation of members to the Society and to each other and all expenditures, disbursements, or distributions to be made in carrying out the purposes of the Society. The Council shall be empowered to appoint and compensate an Executive Director. The Executive Director shall be responsible for the management of the Central Office of the Society under general supervision of the Council. The Executive Director shall submit an annual report to the Council for distribution to the members. The Executive Director shall be responsible for the receipt and disbursement of funds under the direction of the Council. The Editor-in-Chief shall be appointed by the President in consultation with the Publication Committee and with the approval of the Council. The Editor-in-Chief shall be responsible to and serve at the pleasure of the Council. The Editor-in-Chief and the Editorial Board shall be responsible for the editorial conduct of EBM. The Editor-in-Chief, with advice from the Publication Committee, shall recommend to Council the appointment of Associate Editors. The number of 3 year terms served by an Associate Editor would be at the discretion of the EIC with agreement of the Associate Editor. The Editor-in-Chief shall be compensated at such salary as may be determined by the Council. In case of any vacancy in the Council, the remaining Council members may at any meeting of the Council or by unanimous written consent elect a successor to hold office for the remainder of the term of the Council member whose place shall be vacant and until the election and qualification of her/his successor, except as specified in Article VII for officers. The Council shall hold an annual meeting at a time in close proximity to the annual meeting of the membership. Additional meetings of the Council shall be called by the Executive Director whenever directed by the President or by any four members of the Council. A majority of the Council members then holding office shall constitute a quorum for the transaction of business, but less than a quorum may adjourn any meeting until a quorum is present. No notice of any adjourned meeting of the Council need be given. Action of the Council or any committee thereof may be taken at any time without a meeting by 2/3 written or electronic vote consent of all the Council members or members of the committees to a resolution authorizing such action, and any action may be so taken which might have been taken at a meeting duly called. Any such action or resolution in writing signed by all the Council members or members of the committees and records of meetings of the Council or committees thereof shall have the same force and effect as if duly adopted at a meeting of the Council or committee duly called and held. The Council, pursuant to Section 519 of the Not-For-Profit Corporation Law, shall present at the annual meeting of the members and file with the minutes thereof a report, duly verified or certified and containing the information as provided by Section 519, or any successor section. Any Council member may be removed due to conduct injurious to the Society or contrary to the best interests of the Society by a two-thirds vote of the Council members. The accused Council member shall be given an opportunity for a hearing before the Council. The officers of the Society shall be a President, President-Elect, Immediate Past-President, Treasurer, Treasurer-Elect. The President, except where otherwise directed by the Council, shall be the chief executive officer of the Society. He/she shall preside at all meetings of members and of the Council and shall be an ex-officio member of the Standing Committees. He/she shall perform all duties incidental to the office and such other duties as may be delegated by the Council. The President-Elect shall have such powers and discharge such duties as may be assigned to her/him from time to time by the President or the Council. During the absence, incapacity, or disability of the President, the President-Elect shall exercise all the functions of the President and, when so acting, shall have all the powers of and be subject to all the duties of and restrictions upon the President. In the event that the office of the President becomes vacant, the President-Elect shall succeed to that office for the remainder of its term and shall not be barred from serving as President for the next succeeding term. A new President-Elect shall be elected at the next election cycle (see Article IX) following the assumption of the office of President by the President-Elect. The Treasurer shall be responsible for the general supervision of the financial matters of the Society. He/she shall render to the President and Councillors whenever they may require an account of all transactions and of the financial condition of the Society and shall submit an annual report to the Council for distribution to the active members. The Treasurer-Elect shall serve as Treasurer in case of the inability of the Treasurer to serve. In the event that the office of the Treasurer becomes vacant, the Treasurer-Elect shall succeed to that office for the remainder of its term and shall not be barred from serving as Treasurer for the next succeeding term. A new Treasurer-Elect shall be elected at the next election cycle (see Article IX) following the assumption by the Treasurer-Elect to the office of Treasurer. The immediate Past President shall serve ex officio on those committees designated by the President and shall serve in the absence of the President-Elect. The Council may by general resolution delegate to committees of its own number or to officers of the Society such powers as it may see fit. All committees shall be responsible to the Council for their actions and decisions. The final decision on all matters is the responsibility of the Council. There shall be the following standing committees: Nominating, Publication, Editorial Board, Finance, and Membership and Program Planning. The Nominating Committee shall consist of at least three and no more than seven regular members who shall be appointed by the President with the approval of the Council for a term of two years and until the appointment and qualification of their successors. Due consideration shall be given to discipline and geographical representation on this Committee. It is the duty of the Nominating Committee to prepare lists of nominees from the members as described in Article IX of the Bylaws, with a view to securing wide representation in the Council. The Nominating Committee shall also ascertain the willingness of each nominee to serve, if elected. The Publication Committee shall consist of four regular members each of whom shall be appointed/reappointed on a rotating basis by the President with the annual approval of the Council for a term of four years and until the appointment and qualification of their successors. The Chairperson of the Publication Committee shall be appointed/reappointed annually by the President and approved by the Council. No member may be appointed to serve a second term until two years following the completion of her/his first term, and no member may serve more than two terms. The Publication Committee shall consult with the Editor-in-Chief and make recommendations to the Council. Every five years the committee shall conduct an indepth review of the journal performance. The members of the Publication Committee shall confer with and advise the Editor-in-Chief on matters pertaining to the publication of EBM. The Committee shall meet periodically with the Editor-in-Chief and at such other times as the Chairperson of the Committee or President of the Society shall designate. The committee may transact by mail such business as cannot be transacted conveniently at meetings. The Committee shall solicit names of individuals for appointment to the Editorial Board from current and retiring Editorial Board members in pertinent scientific fields and from the Editor-in-Chief and shall submit a list of nominees to the Council for approval. Council members may also nominate Editorial Board members. Nominees need not be members of the Society. The Editorial Board shall consist of not less than twenty members appointed by the Council from among the nominees submitted by the Publication Committee and by Council for a term of three years and until the appointment and qualification of their successors. The number of terms served by an Editorial Board Member would be based on the recommendation of their category Associate Editor to the EIC, with concurrence of the EIC and agreement of the Editorial Board Member. The Editorial Board shall review papers for publication in EBM. They shall be regular members of the Society by virtue of their position as members of the Editorial Board. The Finance Committee shall consist of the Treasurer as Chairperson, the Treasurer-Elect and three additional regular members of the Society, each of whom shall be appointed/reappointed on a rotating basis by the President and approved by the Council at its meeting preceding their end of term for a term of four years and until the qualification of their successors. The Finance Committee shall supervise the finances of the Society, shall review the annual budget prepared by the Executive Director and shall submit such budget to the Council. The Committee shall hold a minimum of one meeting each year for review of the budget. The Committee shall be responsible for the appropriate disbursement of funds by the Treasurer and the Executive Director as indicated by the budget and for the investment and management of all assets of the Society. The Membership Committee shall consist of four regular members, each of whom shall be appointed/reappointed on a rotating basis by the President and approved annually by the Council at the meeting of the Council next preceding the annual meeting of the Society for a term of four years and until the appointment and qualification of their successors. The Chairperson of the Membership Committee shall be appointed/reappointed annually by the President and approved by the Council. The Committee shall review applications for membership in the Society submitted by the Executive Director and shall elect new members to the Society in accordance with Article V, Section 2. The Membership Committee shall meet annually to consider changes in acceptance procedures for recommendation to the Council, to reconsider special deferred cases for nomination for membership, and to consider membership recruitment strategies to enhance the Society's mission. The committee may transact by mail such business as cannot be transacted conveniently at meetings. The Program Planning committee shall consist of the Past-President as chair, the President-elect, the Experimental Biology and Medicine Editor-in-Chief, the Directors of the International Outreach offices, and 4 members of the society, at least one being a trainee member, appointed by the President. The President and Executive Director will serve as ex officio members of the committee. The Past-President will serve as chair for the entire two (2) years of their office; the President-elect, Editor-in-Chief, and Outreach office Directors will serve while in office; with the members appointed by the president serving for staggered three (3) terms. The Program Planning Committee shall monthly to help plan activities of the Society at Experimental Biology (EB) and the International Experimental Biology and Medicine Conference (IEBMC) annual meetings. The duties of the Committee will be to survey membership for the purpose of developing exciting topics for scientific symposia at the EB meeting, to discuss the proposed topics and deliberate to produce a potential agenda of symposia for EB, and to present this agenda to the council at the annual meeting. The presentation of potential symposia will be submitted to council the year prior to the EB meeting to allow sufficient time for planning and execution of the agenda. The Committee will lead the planning and execution of the EB symposia agenda. The Committee will assist in the planning of the IEBMC meeting along with the Outreach office. The Committee will also field requests from members and other entities (societies, FASEB and other organizations) to provide resources (symposia, funding) for meetings. The President, with the approval of the Council, may from time to time appoint such special committees as deemed appropriate and necessary to assist in the administration of the Society's activities. There shall be a Board of Governors that consists of a President and at least four regular members appointed by the President of the SEBM with the approval of Council. These shall serve a term of three years and until the appointment and qualification of their successors. There are no time limitations on the number of terms that can be served by the President or the members of the Board of Governors. The Board shall pursue fund raising for the SEBM Endowment Fund and make recommendations to the SEBM Officers for expenditures that are in accordance with the mission of the SEBM. The Executive Director shall be responsible for the receipt and disbursement of endowment funds under the direction of the SEBM Officers. Expenditures of the Board of Governors must be paid by income derived from the SEBM Endowment Fund. The Nominating Committee shall, biennially, present to the Council at its meeting next preceding the annual meeting of members, a slate of nominees consisting of at least two regular members for President-Elect and Treasurer-Elect, each to serve for two years and, annually a slate of six or more regular members for Councilors with three to be elected for four years. A person who has served on the Council may not succeed himself or herself. However, the individual may be reelected as a Councilor at a later time for a total of two terms. The Executive Director shall submit to each regular member at least 90 days in advance of the annual meeting of members the slate of nominees approved by the Council. Within 60 days of the mailing of such slate any group of 25 regular members may submit additional nominations to the Executive Director. At least 30 days in advance of the annual meeting of the members the Executive Director shall submit to each regular member a ballot including the slate approved by the Council and any nominations proposed by regular members hereunder. No distinction shall be made on such slate between nominees proposed by the Nominating Committee and approved by the Council and those proposed by regular members. The regular members of the Society shall vote on the nominations in person at the annual meeting or by proxy. Proxy ballots must be received at the Society office at least one week before the annual meeting in order to be valid. The Executive Director shall ask two regular members of the Society to serve as tellers. The votes shall be tallied by the Executive Director and certified by the tellers. A plurality of votes shall be sufficient for election. In the event of a tie-vote, elections shall be resolved by majority vote of the Council. All contracts of the Society and all checks and drafts and other orders for the payment of money out of the funds of the Society and all promissory notes and other evidence of indebtedness of the Society shall be signed on behalf of the Society by such officer or officers, agent or agents, and in such manner, as shall from time to time be determined by resolution of the Council. The Council shall fix dues and assessments which shall be paid by members of the Society. Dues include a subscription to the Journal. A member who is in arrears for dues for two consecutive years shall, following thirty days written notice by the Executive Director, cease to be a member unless excused by the Council or reinstated by the Council upon payment of such arrears. The official organ of the Society shall be the Journal, Experimental Biology and Medicine. Authors may be charged for space in the Journal at rates to be determined by the Council. Publications of the SEBM which are Proceedings of the Society for Experimental Biology and Medicine (PSEBM; 1903 – December of 2000) and Experimental Biology and Medicine (EBM; 2001 – present) are archived on the World Wide Web (WWW). The SEBM Archival Legacy Fund was established, funded, and invested. These monies are to be spent if needed to maintain the old and new archives on the WWW or in other formats in perpetuity. All meetings of the Society, the Council, Standing Committees, and special committees thereof shall be governed by the rules contained in "Roberts Rules of Order, Revised" in all cases to which they are applicable except when such rules are inconsistent with the Bylaws of the Society. The Society may indemnify an officer or Councillor, and may, by resolution of the Council, indemnify an employee against any and all expenses and liabilities actually and necessarily incurred or imposed in connection with any claim, action, suit or proceeding (whether actual or threatened, brought by or in the right of the Society or otherwise, civil, criminal, administrative or investigative, including appeals) to which he or she may be or is made a party by reason of being or having been an officer, Councillor or employee of the Society to the full extent permitted by law, and may exercise any powers it is authorized by law to exercise, including the power to purchase and maintain indemnification insurance. The indemnification provided for in this Article shall not be deemed exclusive of any other rights to which such officer, Councillor, or employee may be entitled, under any law, bylaw, agreement, vote of the Council, or otherwise and shall not restrict the power of the Society to make indemnification permitted by law. Indemnification as provided for in this Article shall inure to the benefit of the heirs, executors, administrators, or other legal representatives of an officer, Councillor, or employee. Amendments to these Bylaws may be proposed by the Council on its own initiative or upon the application of any 50 regular members of the Society. The Executive Director shall send notice of any proposed amendment to each regular member of the Society at least 45 days in advance of the annual meeting of members. These Bylaws may be amended by a majority of the regular members voting in person or by proxy at such meeting. Proxies must arrive at the Society office prior to one week before the meeting to be considered valid.